History was made for the 3-7 Class when for the first time ever, a sailor from the Under-21 Division won the Open Title. 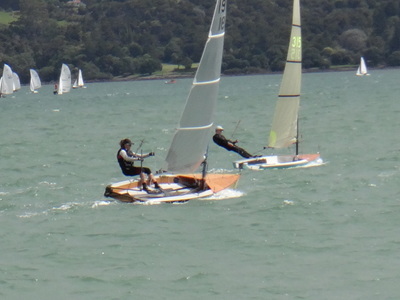 Hamish Hall-Smith (French Bay) has won the title only 2½ years after leaving the Starling Class. 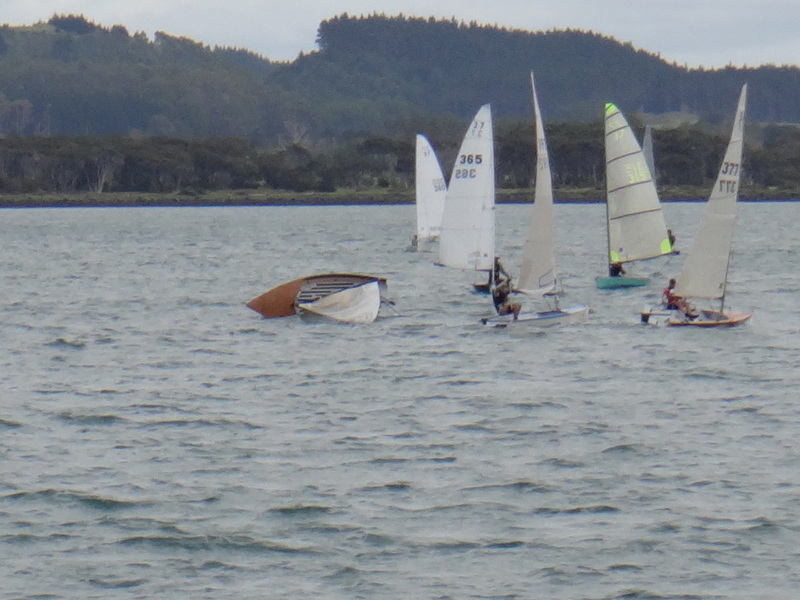 The event was held in conjunction with the Jollyboat Championship and the Northland Interschools Regatta. 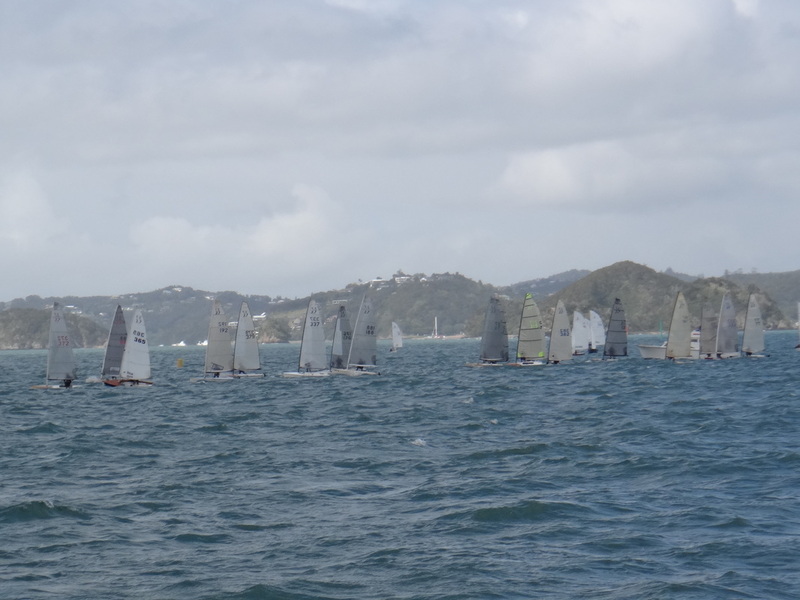 Only 7 out of 9 scheduled races were completed, owing to lack of a stable breeze on day 3. 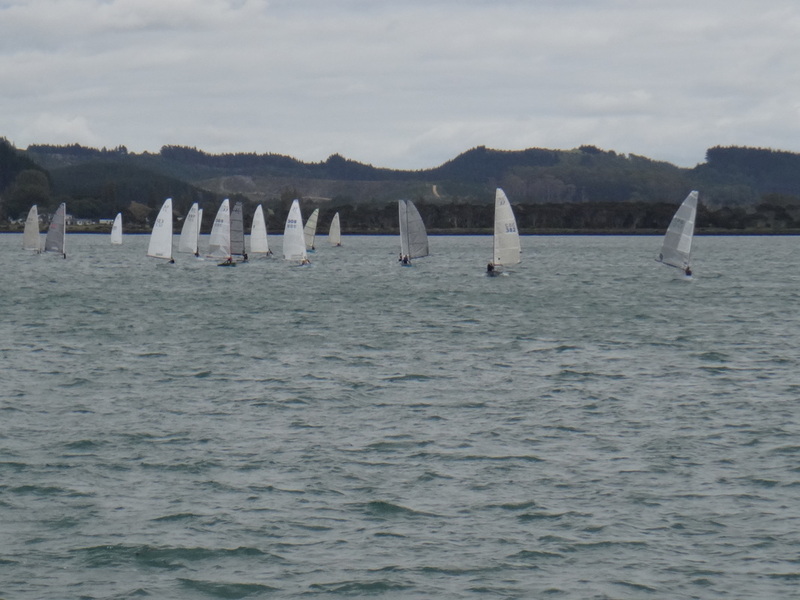 On the first day there were two races held in light to moderate changeable winds and a bumpy seaway. 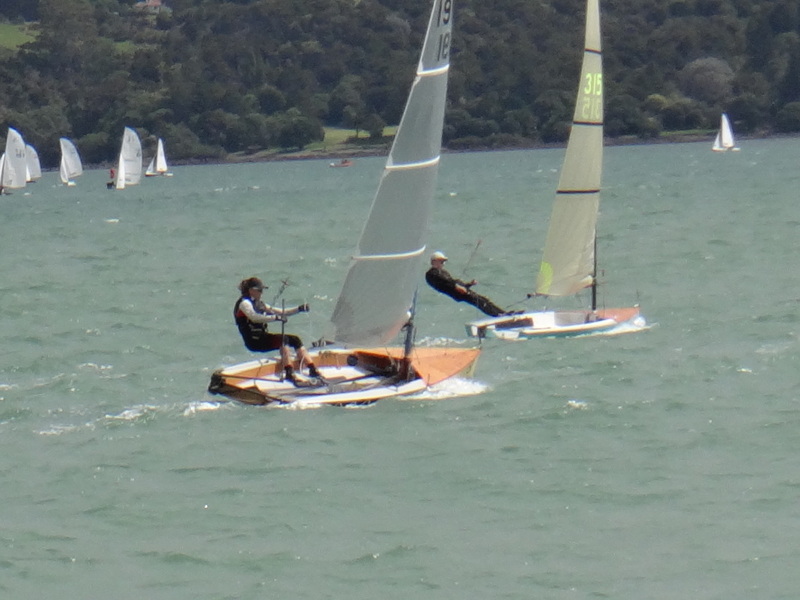 Both Races were dominated by the previous national champ Mark O’Brien (Hamilton YC), and it was really only a 5th place in Race 6 that cost him the series. 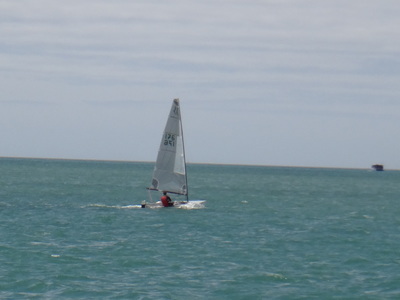 On the second day breezes were forecast 10 to 15knots, but felt like up to 20 at times. 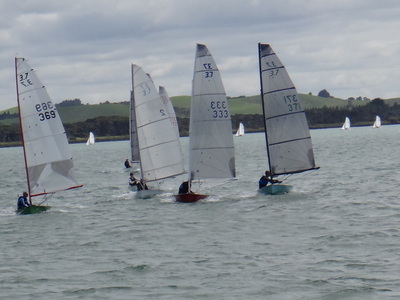 Results were very tight between Hamish Hall-Smith (FBYC), Mark O’Brien and previous National Champ Derek Snow (Wakatere BC) with all three recording wins, Hamish got two wins. 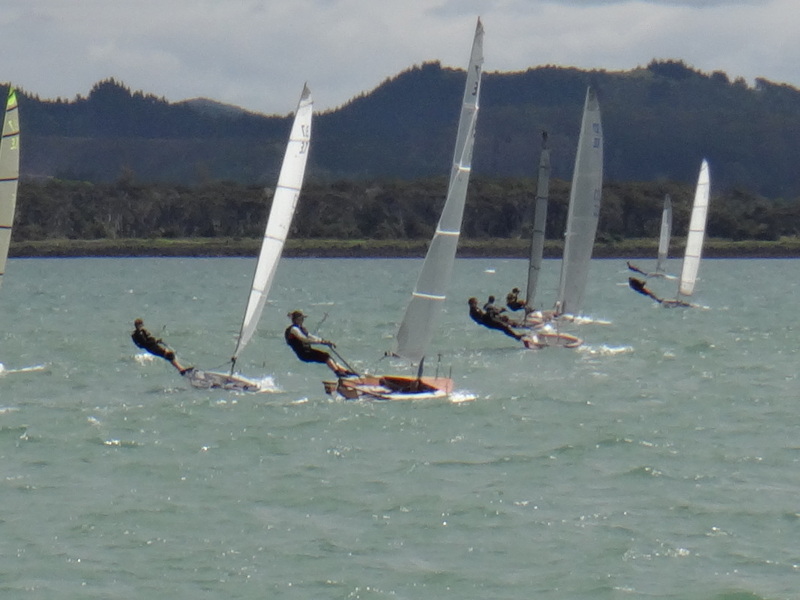 On the final day the breeze was shifting all morning between magnetic 90 and 15 with very little stability. 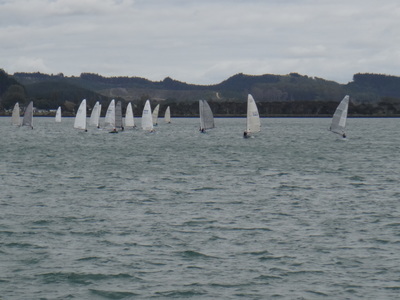 Eventually one race was held and John Kennett (CBYC/NPCL) from Charteris Bay won that race. No further racing was possible in the time limits. New Champion Hamish Hall-Smith emerged strongest, three points ahead of Mark O’Brien, with Derek Snow only one further point behind in 3rd. 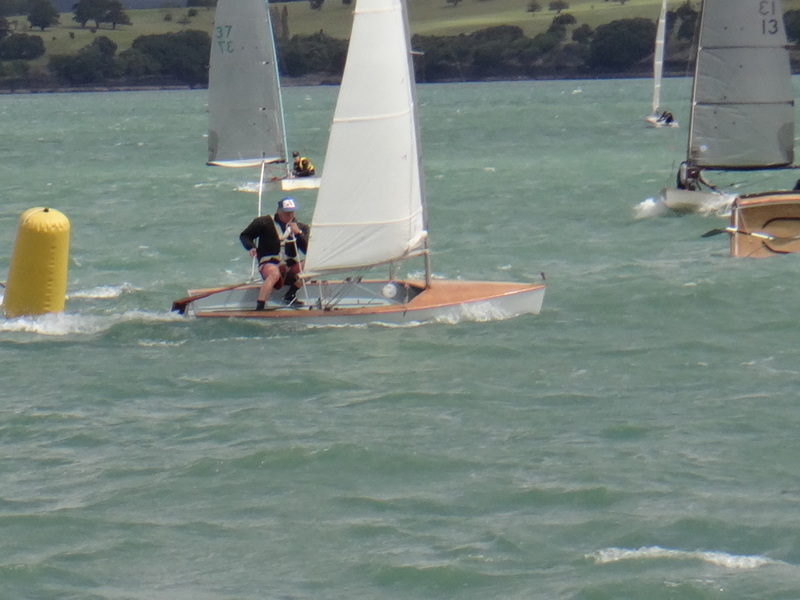 Hamish (17yrs) won the Under 21 Cup as well. 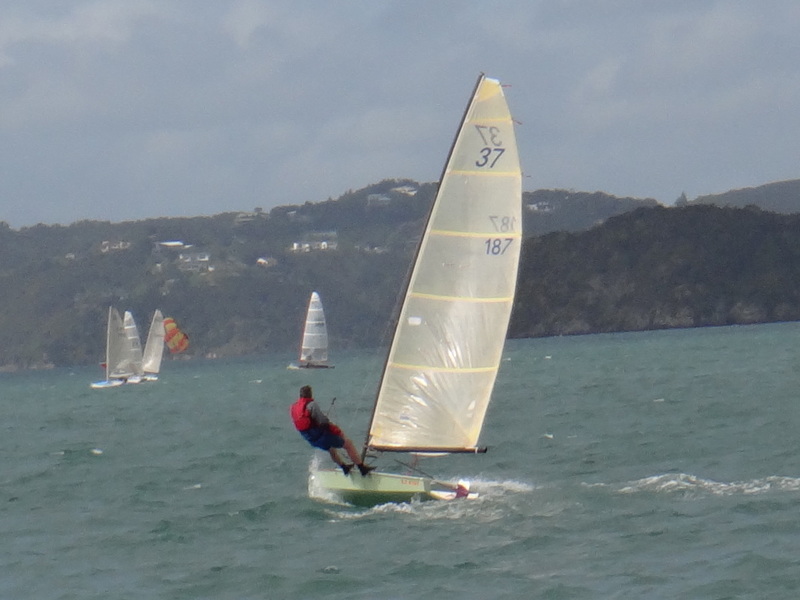 Derek Snow won the Veteran Cup for over 45yrs. 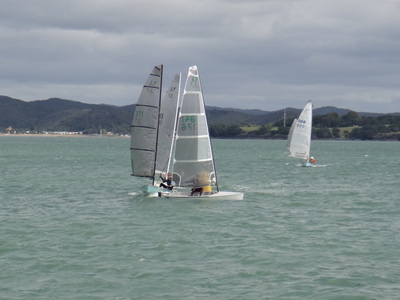 Fourth placed Malcolm Paine (SSANZ) won the Handicap Trophy, with Matt Connolly (Glendowie BC) second, and Thomas de Meijer (Ngaroto SC) third. Paul Carpenter (Pupuke BC) won the Silver Fleet Trophy. 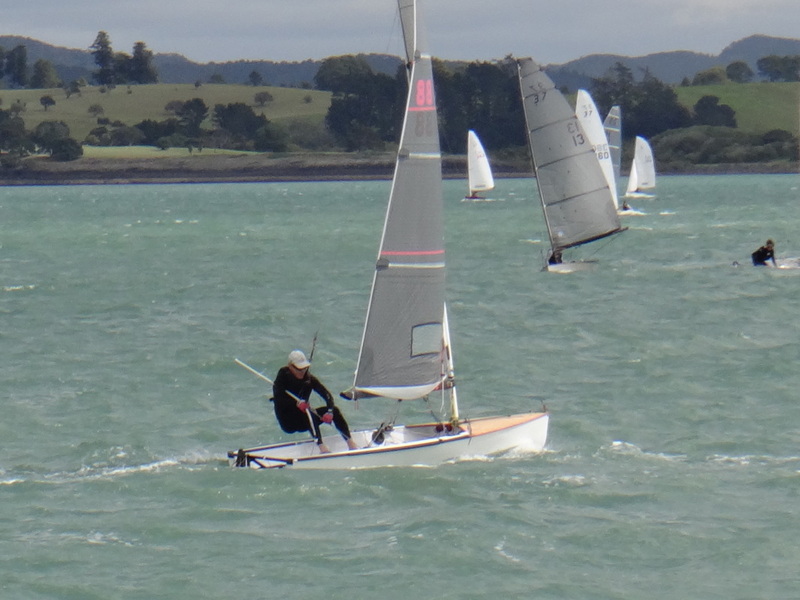 Sarah Balfour (French Bay YC) won first lady's medal - another remarkable feat because Sarah (15) is finishing her first year in the 3-7, and out-survived two more experienced ladies.. Phil Nicholls (65) won the great grand veteran category 65+. This is noteworthy, because Phil was the winner of the first ever 3-7 Class Championship held back in 1974. 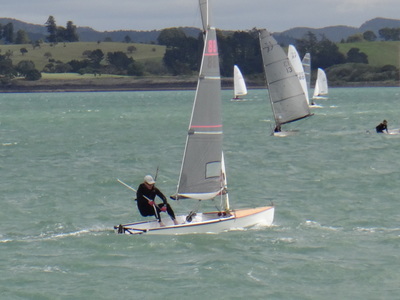 John Kennett won the ‘young’ veterans medal and also won the ‘can of the contest’ after successfully tangling, capsizing and anchoring himself to the leeward mark. 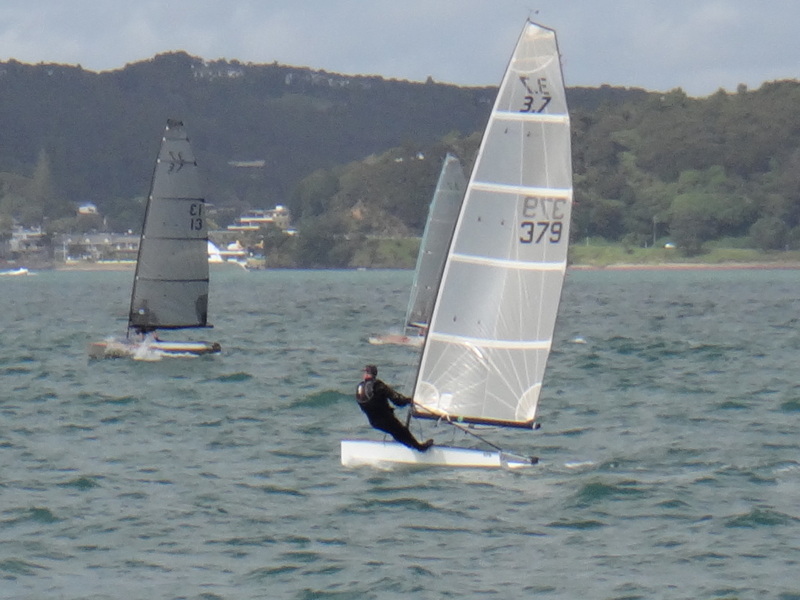 Highlighting the wide appeal of the class, the oldest sailor was 69 and the youngest 15 years. There are very few second-hand yachts for sale in the class at present, with a resurgence of interest. 26 yachts competed and more would have started if charter yachts had been available. That was three up on 2015 (23) and a further three up on 2014 (20). Thus 29 yachts are warmly anticipated for the 2017 event.